Has 45 recipes, 14 public recipes. Has 808 flavors in inventory. Description: Ive been mixing since June of 2015. Jbird supports All The Flavors. Upgrade yourself. 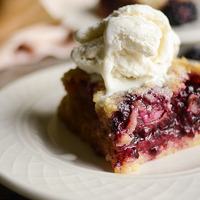 A rich dark berry cobbler with a dollop of vanilla ice cream. 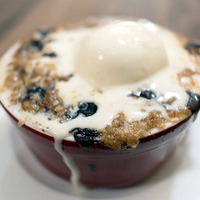 This recipe is focusing on FW Wild Berry Cobbler. This one is actually pretty good as a single flavor. It's definitely a darker berry (blackberry?). 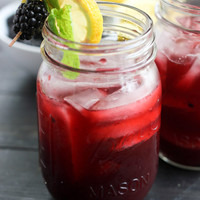 The PUR Boysenberry Preserves compliments the blackberry nicely and drives home the cooked fruit note. The cobbler part is there but light, so I used some sugar cookie to add a bit of texture. My bottle doesn't say ala mode and I don't really pick up any ice cream, so I added my own. I wanted to keep this relatively simple. Play around with this or add whatever ice cream base works for you. The moral of the story is, if you don't have FW Wild Berry Cobbler, you should definitely consider buying it. I was just messing around with Blackberry Blossom and new I wanted to make a lemonade with it. I originally had the blossom at 1% but it had a hard time holding up to the Alpine and Lemonade. So I kept increasing it until I felt it was very present but not taking over. I wanted to just keep this simple but I'll probably be adding a bunch of variations, in the future. FLV Blackberry Blossom - I was scared when I seen this flavor was coming my way. But this has completely taken me by surprise. Very well balanced between the berry and floral. This flavor is a very dark and musky flavor with a touch of sweetness. This will pair well with other berries and stone fruits. Definitely adding some brighter flavors, such as citrus (lemon), will make this flavor POP. FLV Lemonade - This is very much like Country Time or a premixed lemonade. You get a good amount of sweetness with a very little bit of a tartness. Despite it leaning towards a powdered mix, doesn't come off dry at all. Alpine Strawberry - Ever since this flavor came out I've wanted to find something that would pair well with it. Well, FLV delivered with the Blackberry Blossom. Alpine is very authentic with just a touch of a floral note. I don't recommend trying to bury this in a mix. It's very strong and even at this tiny amount, will sit at the top of your recipe. It's hard for me to recommend this flavor, giving it's price. But, if you already have it, try pairing it with florals and other fruits. Also, if you have trouble tasting strawberries, this is a good one to have. No chance you're not tasting it. WS-23 - I've had Koolada but can't stand the off notes. FA Polar Blast was alright but found myself not getting the desired coolness from it. Plus it irritated my throat a bit. A big shout goes to @Fear for bringing this flavor to my attention and telling me where to get it. I can't rave enough about this. Best cooling agent on the market, IMO. This was inspired by LaLa's Guanabana yogurt smoothie drink and https://alltheflavors.com/recipes/14191#batido_de_guanabana_by_deejay_mills . If you haven't tried that recipe, you should. 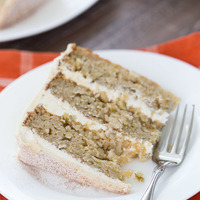 It's fantastic and a recipe I always go back to! This was one of the easiest all FLV recipes for me. Their tropical flavors are some of the best and this recipe just fell into place. The guanabana in this smoothie is rather subtle, but it blends into the creams and yogurt very well. I get more pineapple and coconut than anything else. Guanabana - This flavor is and has been one of my favorites for the last year. So much going on. You get a cross between mango and pineapple with an almost banana cream back note. I needed to use this a bit higher to cut through the cream and yogurt. 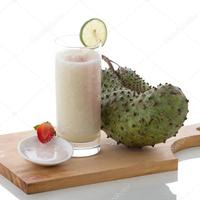 Soursop - Soursop brings some of the same qualities as guanabana but is a touch darker/ muskier with hints of coconut. There is also some tartness that kind of reminds me of a Granny Smith apple. Greek Yogurt - This is obviously the yogurt part. I know this isn't everybody's cup of tea. But, when used properly, you can bring out a very deep creaminess with just a touch of that "twang" to know this is a yogurt. Pineapple - I added this just to give a touch more tropical feel to the overall profile. I get a sweet pineapple juice from this one. But it has very deep and darker feel, that seems to play well with creams. Cream - This is here to help the Greek Yogurt from becoming too sour and bring this into more of a smoothie. It's a very neutral cream that is adding a lot of the texture. Coconut - One of the best coconut flavors on the market. This is not only adding a touch of coconut, but also adding to the overall creaminess/ mouthfeel. It's super strong! I used it at about 1 drop per 20ml. Sweetness - Reading the label of this smoothie drink, it says they use Stevia leafs as the sweetening agent. FLV Sweetness is made with Stevia. So this was an obvious choice. This seems to get sweeter the longer you let it steep. This has been my go-to sweetener lately. Not only do I think it plays better with creamy vapes, it also won't gunk your coils. Optional - Maybe the idea of a warm yogurt vape doesn't appeal to you. Try adding .5% FLV Ice or the cooling agent of your choice. This was an idea I have to give ID10-T credit for. Back in November, he mentioned his brother bringing a dessert to Christmas every year. Which consisted of raw cranberries covered in molten hot white chocolate and then cooled. This is appropriately called Cranberry Crack. Well, while ID10-T was busy mowing down some competition in the mixer contests, I was still salivating at the thought of this. So I decided to build a recipe around that concept. It was only after a couple versions that I realized that I wanted to take a little different approach. 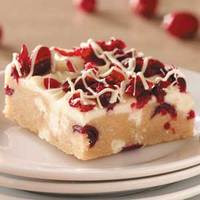 While I never have tried this Cranberry Crack, I knew raspberries and white chocolate are amazing together. So why not add them to the mix. I thought this was going to be pretty easy and straight forward. But quickly discovered that balancing the white chocolate with the fruits, would prove to be challenging. FLV/FW White Chocolate - MF White Chocolate I still feel is one the best. But, for the life of me, couldn't get it to work in this. I probably could've made a dilution and maybe make it work, but I moved on. I'm not that big of a fan of TFA's offering, so knew that was out. That left me with the only other one I had, which was FW. I really like their version. It's creamy, buttery and has a nice little vanilla note to it. I originally had this at 3% and was going to be the only WC in this recipe. Then, with a big shout out to Brendon, in came a big box of flavors from Flavorah. Well, white chocolate was the first one I reached for. This did not disappoint. Very rich with a heavy cream. Not sure I was picking up as much vanilla as FW, but this was delicious. I had to have this under 1%, to keep it from bogging down the other flavors. I kept FW in this but just dialed it back a little. INW Shisha Vanilla - By far, one of the best and most versatile vanillas in my arsenal. This is pulling double duty here. It brings just a touch more vanilla and adds bit of creaminess to the white chocolate. FLV Cranberry/FA Pom - This got a little tricky. FLV's version is very much like OceanSpray Cranberry juice. Not as tart as you would expect for a cranberry. But, imo, is the best authentic (as apposed to candy-like) offering. Not one of their stronger flavors. I found I had to keep raising the % to hold up to the creams. My goal was to try to bend this into a regular cranberry, instead of a juice. TFA's version wasn't bad but just seemed like a unsweetened juice. CAP's Cranberry was just not that good. But FA Pomegranate had that tartness and has a thickness, I was looking for. It gave the cranberry a sort of cooked feel to it. I just needed to keep it low enough that none of those floral notes would shine through. FA Raspberry/INW Shisha Raspberry - While I knew I wanted FA all along, Shisha worked surprisingly well with it. I find FA to be one of the best. It's realistic but doesn't carry much tartness. Almost like a cooked raspberry with some sugar. Has some floral and maybe earthy undertones. INW Shisha almost has the same notes. With some earthiness and kind of floral accents, but in a completely different way (if that makes any sense at all). INW has a bit more of the tartness that you would expect from a raspberry. This is a pretty straight forward recipe. My take on a watermelon bubble gum with some support from other melons. FLV Bubble Gum - FLV nailed this profile. A very good base to add your favorite fruits to. No chalkiness like I get from TFA and not as harsh as FW. 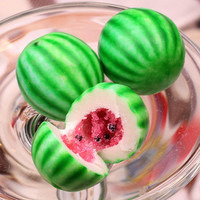 FLV Watermelon - This is a good candy watermelon. Although, you can taste a little bit of the white part (rind) which I wasn't expecting from a candied flavor. It lends a hand at making the recipe a bit more juicy too. FLV Wild Melon - This is a great mix of melons. Watermelon and honeydew being the main fruits that I detect. It leans more towards the fresh fruit category, imo. If someone asked "what's the best melon flavor?" this would be the one I recommend. Very bright and refreshing. FLV Cantaloupe - This is used not only to add more melon, but lend a hand in making the overall mix more juicy and almost creamy. It has a thickness that gives this recipe a good mouthfeel. And makes the whole experience seem more authentic. FLV Sweetness - As always, sweeteners are optional. I usually would only use this at 1 drop per 10ml. But, this is a candy and 2 drops worked out nicely. It does a good job providing you with the sweet while, at the same time, not gunking up your coils. Feel free to sub for your sweetener of your choice (I'd say 1 drop per 10ml of CAP SS would work well). This is very much a shake and vape recipe but will benefit from an overnight steep. Best after 3 days. Don't forget to leave a comment and/or review. Thanks for reading! 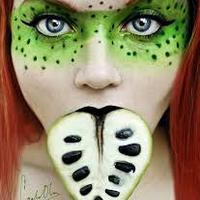 INW Cherimoya - I have to say INW didn't do a bad job at all but still found it to be missing some depth. I get the pineapple and apple up front. With a smooth creaminess on the exhale. I kind of pick up a acidic mango but not much at all. FA Coconut - While I wouldn't call this the best offering (FLV still holds the crown,imo), it's definitely a suitable replacement. It's fresh, creamy and fits into the cherimoya perfectly. FA Banana - Like a lot of FA fruits, this is a realistic tasting banana. I found out the hard way, it can be a temperamental flavor. If taken too high, can lean towards an artificial taste with some chemically thing happening. If used too low, it seems to just get lost in the mix. After many failed tries, I finally got it to do what I wanted. It's not too forward and plays nicely with the coconut. Conclusion - I feel this is a really good representation of the actual fruit and I'm happy with the results. If you never have had a custard apple,I'm confident you'll want to run out and buy a few, after tasting this. This is a good S&V but loses a little of the acidity after the first day. Enjoy!! I'll start by saying I subbed out FW Strawberry with FLV at the same pecentage. As a person who has a hard time tasting strawberry, I quickly learned that this wasn't just another strawberry recipe. This is the best cheesecake base I've ever tried! Pound Cake, Pie Crust and Nut mix all do a glorious job of making an authentic rich, buttery crust. The 2 cheesecakes with the addition of the Catalan Cream and Bavarian Cream, makes this such a rich, creamy and smooth vape. I was a little skeptical of the amount of flavors but everything is so well balanced. I really can't say enough about it. Love it! Great job Thadentman! This is so good! JF Juicy Lemon is awesome. I really can't get enough of this. Just whipped up another 120ml. Great job! Krucial is too kind! My part was small in this. If you like oatmeal raisin cookies then I have no doubt, this is for you. It's exactly that. FLV pretty much nails the raisin part but needs help with the cookie part. JF Biscuit, with the CDS, does a great job of doing that. JF Bavarian Cream and TFA Butter were the keys to keeping this from being too dry. This worked great without compromising and turning it into a cookies N' Cream recipe. 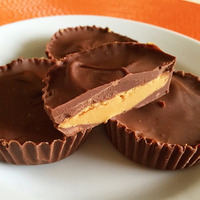 Krucial did a great job on this and I'm honored to be linked to this recipe. This is now in my ADV rotation. FLV Biscotti is a terrific flavor and bold enough to stand up to any cream thrown it's way. You get a little almond and a nice cinnamon sugar dusting with a heavy biscuit/cookie/bread thing going on . Just like the real thing, Biscotti is a bit dry (I dare anyone to eat a biscotti without washing it down with milk or other beverage). This Ice cream base is great and I'll probably be borrowing it in the future : ) It also does a great job keeping you from grabbing water after every pull. This recipe is one of only 3 that I vape regularly and absolutely awesome with a cup of coffee! Great job Thadentman! Pink Guava is very upfront for the first few days. Then it mellows just a enough to let the honeysuckle and the elderflower break through. While you still get the upfront pink guava (which is great ), it's followed by the florals. The Sweet Coconut is a very nice addition, that I'm picking up on the exhale. Making this a pretty complex recipe for only 5 flavors. Awesome job! And a perfect vape for the "Springtime"! This is a perfect summertime vape. The Honey Peach and melon combo Is very balanced and compliments either really well. . The FW BlackBerry adds a nice dark, jammy layer, keeping this mix from being overly bright. Great job! What a great idea to bring FA Kiwi into a cereal!It works so good here. The creams are balanced very well with the cereal and I could see using this base for other fruits, as well. I've made 2 bottles, so far. The first was with FA Meringue (because I failed to notice the recipe called for TFA). The 2nd I made it with TFA. Both are good but I can see why the use of TFA. FA is a touch heavier and weighs the creams down a bit and covers up some of the awesomeness of the balancing act. I encourage anyone on the fence about this mix, go for it! If your missing any of the flavors, buy them. They are all staples and should be in every mixers arsenal. Excellent job! This is a great recipe. Very accurate to the actually drink. The strawberry and orange are very well balanced. The banana adds very nice mouthfeel but doesn't really stick out. Definitely a recipe to be proud of. Great job!! 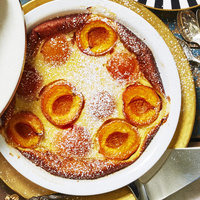 I stumbled upon this, while looking for ideas to use VT Sorbet Base. The sorbet works great with the lime. Not only adding that cooling effect, but I also get some citrus from it too. The combination of frozen yogurt and coconut does a good job of thickening up the mix. While the coconut is subtle, I do pick it up on the tail end of the exhale. A very refreshing and well-balanced recipe. Definitely going to be making more. Great job! I did sub out Super Sweet for FW sweetener (personal preference). Great 3 flavor recipe! Everything is well balanced. FW VBIC is a good choice because it's not too eggy and rich. Keeping HS Cream low gave this a very nice mouthfeel, while not getting too buttery. Not overly complicating the creams let the pistachio shine and be the main focus. Great job! !